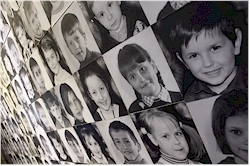 The 26th of April 1986 marks the day of the world's most devastating nuclear disaster in the Chernobyl (Chornobyl) nuclear plant near the town of Pripyat. Due to an explosion and subsequent fire in one of the reactors, radioactive particles were released into the atmosphere and spread over large parts of Europe. The effects were so widespread that reindeer in Scandinavia that were contaminated had to be put down. 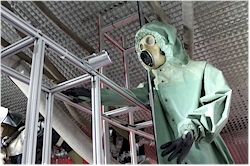 Lethal doses of radiation soon lead to casualties among the rescue workers, firemen and people that were in immediate vicinity of the plant. Inhabitants of the area received more radiation in a few hours than that they would normally receive over a whole lifetime, resulting in the longer run in a higher percentage of people dying from leukemia and several types of cancer. A surge in the number of deformed newborns has also been attributed to the incident. Tourist excursions to the exclusion zone, including the Chernobyl nuclear plant and the ghost town of Pripyat are organized but for obvious reasons these are severely controlled. It's not possible to do this on your own. Visits are guided and limited in time. You can book them from Kiev. For those who find this a bit too extreme but do want to have an idea about this horrifying disaster there is the Chornobyl museum in the center of Kiev. The museum is located in an old firehouse. As soon as you enter, the tone is immediately set in the stairway with roadsigns of all the towns and villages that had to be evacuated in the aftermath of the accident. The residents had to abandon all their belongings never to return again to the place where they grew up. There is of course a proper explanation about the nuclear plant and the accident itself but the exhibition does not shy away either from the terrible consequences of the disaster: diseases, cancer, deformed animals and humans, abandoned homes,... it can be quite shocking and confrontational. The rescue workers and firemen who fought to stop the catastrophe and paid for this with their health and some with their live are considered heroes here. Their actions have a prominent place in the exposition. 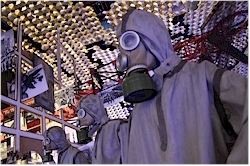 The Chernobyl museum in Kiev is quite modern, especially to Ukrainian standards. 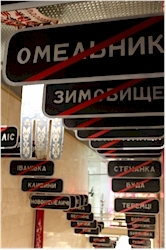 There are audio guides and information is available in several foreign languages (which is not self-evident in Ukraine).